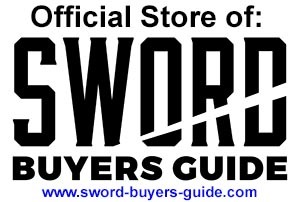 Discontinued or limited edition one off swords designed or made directly by Angus Trim. Made in the USA by none other than the Legendary Angus Trim himself. Ultra Durable 9260 Spring Steel Blade. Now on Close Out, Below Wholesale Pricing. Hand made by the Legendary Angus Trim himself, a rare chance to own a genuine 'Atrim' sword without buying it second hand or waiting on a backlist years long. Hurry, once its sold out its gone for good - only a handful have been made.